Last March, I received and accepted an offer to work at Viget as their first full-time UX Apprentice. That meant having to travel some 4,400 miles from my home in Dublin at the time to a new city I had never visited, and to work with people I had never met before in person. It was worth it. Now that the summer is drawing to a close, I can confidently say that I’m a much better UX designer now than I was 10 weeks ago. I worked on client and personal projects, expanded my skillset through professional development, and received direct mentorship from Viget’s UX Director. Through it all, I faced interesting challenges and had the opportunity to use diverse tools and methods to solve them. So, to wrap up my apprenticeship, I want to reflect on my experience here at Viget and highlight some of the various aspects that made it so wonderful. Viget's office in Boulder, Colorado. I am a firm believer that the best way to grow professionally is to surround yourself with smart people. The folks who work at Viget are some of the most talented people I’ve met, and I’ve been able to learn a lot from them outside of any formal capacity. I know whenever I ask a question in our UX Slack channel, for instance, I’ll get a slew of well-informed answers backed by research and personal experience. Throughout the summer, I kept a list of best practices, tips, and tricks that I gained solely through informal means such as that. What drew me to Viget in the first place was its strong focus on mentorship. This summer, I worked directly with Viget’s UX Director Jackson Fox. We met at least once a week to discuss my projects and any challenges I was facing. I shadowed him on numerous occasions and worked alongside him on client projects. Jackson helped me apply what I know from books, classes, and personal experience to actual work. While at first our conversations revolved mostly around technical and domain-related questions (e.g. which research method I should use at a given time, how best to conduct a usability test), they eventually evolved into broader, more strategic discussions. The rest of the UX team at Viget has been quick to offer guidance and feedback as well. Laura Sweltz, for instance, has reviewed pretty much every one of my major deliverables. She challenged my assumptions and pushed me to do just a little bit more. Working as an apprentice at Viget, as opposed to as an intern, meant parts of my summer were inherently more subject to change. Client work comes and goes, and projects fall through—that’s just part of working at an agency. Earlier in the summer, a financial technology startup approached us about redesigning their site. We held an internal kickoff meeting discussing the project, and I spent a few hours analyzing their current site and researching competitors. Then, due to extenuating circumstances, the start date for the project was postponed until after my apprenticeship. I was disappointed, but I’m glad I got to experience that aspect of working at an agency. Things don’t always go according to plan, and strong UX designers can roll with the punches. One of the client projects I did get to work on consisted of creating a consumer journey map for a market research company. Fortunately, the timing of that project coincided perfectly with my apprenticeship so I could take part from start to finish. We kicked off the summer with a design studio where we sketched, shared, and iterated to explore various design challenges. 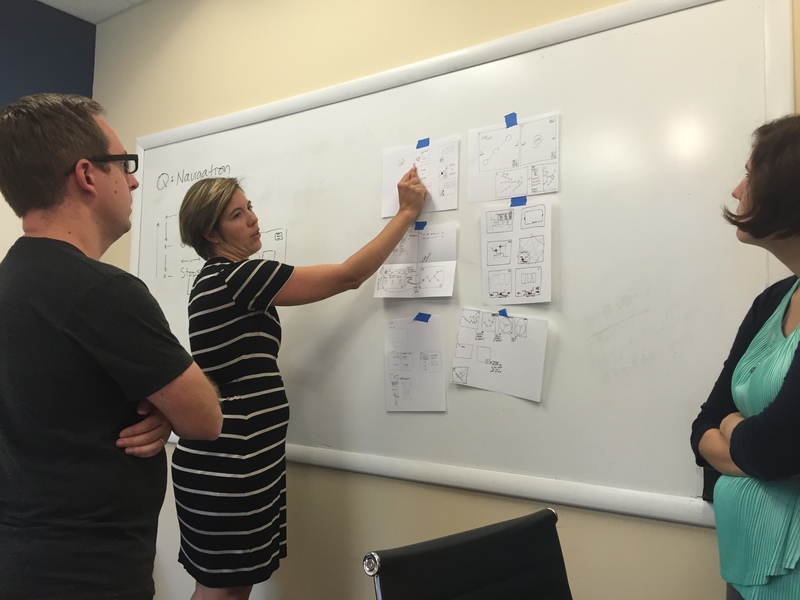 Jackson and I then defined the user flow and components of each view, and continued to advise Nate Hunzaker, our front-end developer, and Blair Culbreth, our designer, as they designed and built out the map. The project is wrapping up this week, and looks wonderful. Kicking off the project with a design studio. For my main personal project this summer, I researched and redesigned the Lab Report, Viget’s weekly company newsletter. I began the project by researching the behaviors and roles surrounding the current report through a survey, user interviews, and analysis of reports over the past five years. I followed an iterative design process, and created and tested four designs in total. I put together editorial and development plans for each design so I could leave my colleagues with a comprehensive product. This project gave me the opportunity to work with new tools and methods. 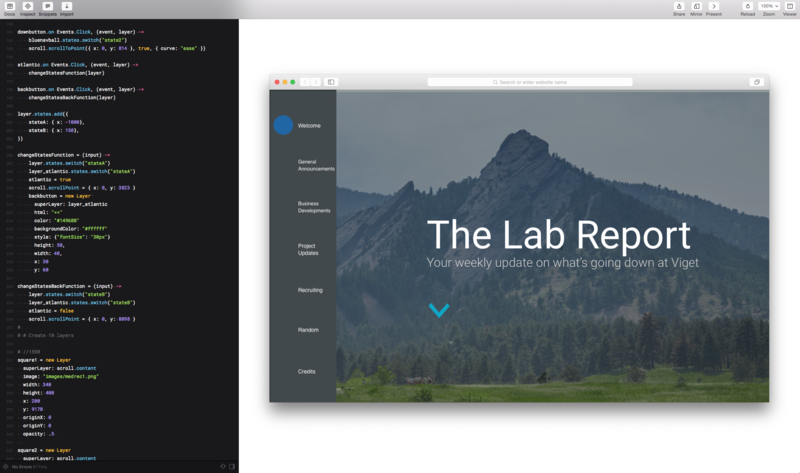 I conducted nearly two dozen formal usability and acceptance testing sessions; created interactive prototypes in Framer.js; and even moderated a design studio. A prototype of Viget's weekly newsletter made in Framer.js. My 3D-printed model of the Sears Tower. In addition to UX, I enjoy programming as well. I took several programming courses in graduate school, and am currently developing a journalism mobile app for my thesis project. A few weeks ago, Jeremy Fields, a senior front-end developer at Viget, sat down with me for two hours to go over front-end development best practices. Not only am I leaving Viget as a better UX designer, I’m leaving as a better developer as well. 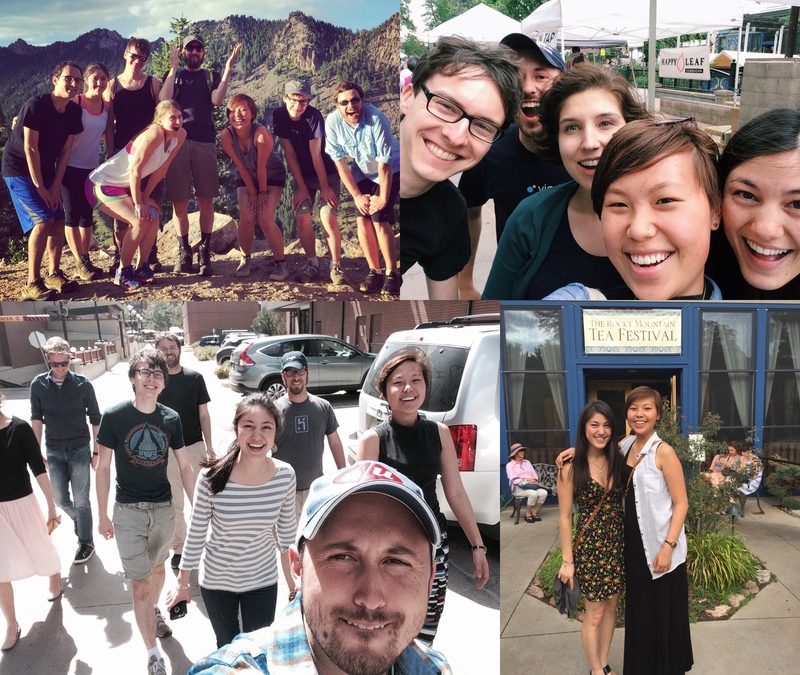 This summer was made all the more memorable by the many out-of-the-office activities we did—happy hours, hikes, a Viget family picnic, bluegrass music sessions, Settlers of Catan showdowns, even a cupcake run. I’ve enjoyed every day of my time here in Boulder. (Clockwise from top-left) Hiking in Eldorado Canyon, the Farmers Market, afternoon tea at the Boulder Dushanbe Teahouse, Tee & Cakes cupcake run. When I think back over the past 10 weeks, I can’t believe how much I’ve been able to learn and do. I’m grateful to the entire Viget team for the time, attention, and care put into my apprenticeship. It’s been a blast.